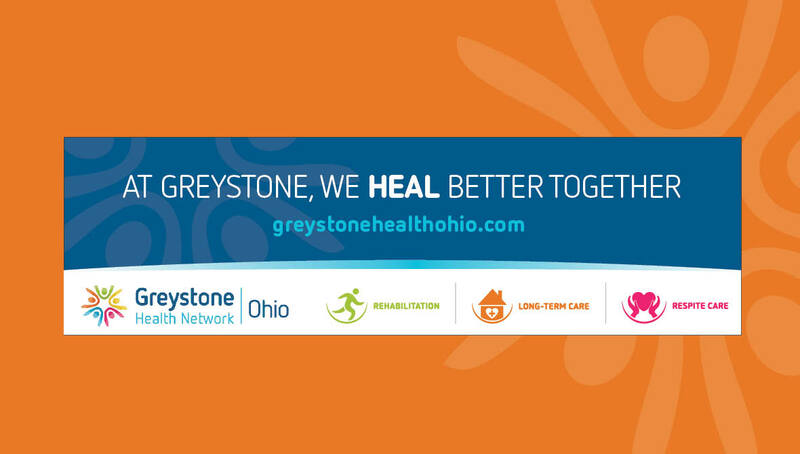 After months of research, working meetings, and creative development, we are thrilled to launch the new integrated marketing strategy for Greystone Health Network (of Ohio). Upon recently expanding their network to Ohio, the Florida-based health network approached our team to help increase their brand recognition and brand perception around their facilities, locations, and services. 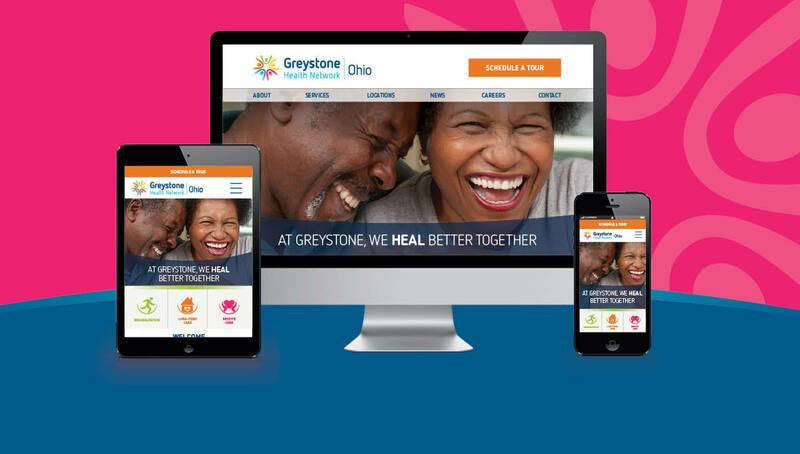 To do so, we were excited to leverage our extensive experience in the field of healthcare and the Ohio market to help create a new campaign strategy and state-based microsite that utilized the existing brand identity of Greystone Health Network, while generating a new presence within our region with the campaign slogan we created, “Heal Better Together”. Comprehensive brand audit, exploring the competitive landscape of other healthcare organizations within the field of elder care, assisted living, and rehabilitation services. Survey of staff and leadership, as well as external partners and patients, identifying key insights about the perceptions of our brand, as well as the strengths, weaknesses, and opportunities of the organization’s communication strategies. 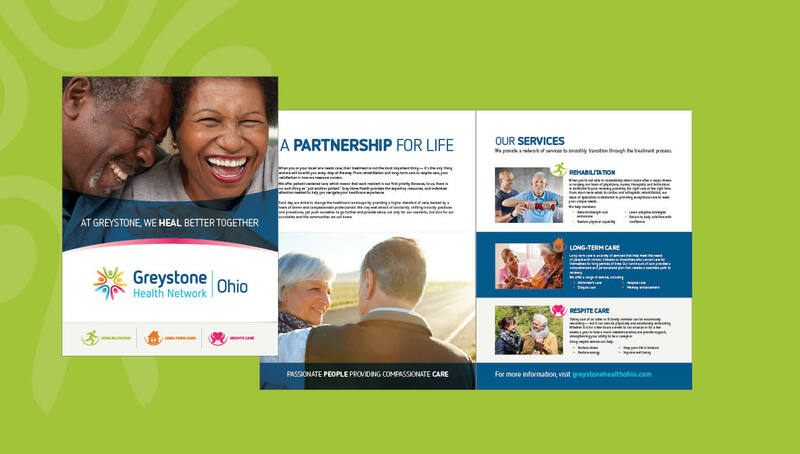 Next, Origo utilized the insights gained in the research phase to develop a sub-brand strategy for Greystone Health Network for the Ohio region. From the research, it was clear that the new marketing tactics needed to reflect the brand’s main differentiators, including their community-oriented approach when serving populations in need and improving the overall wellness of their patients through their compassionate approach to care. 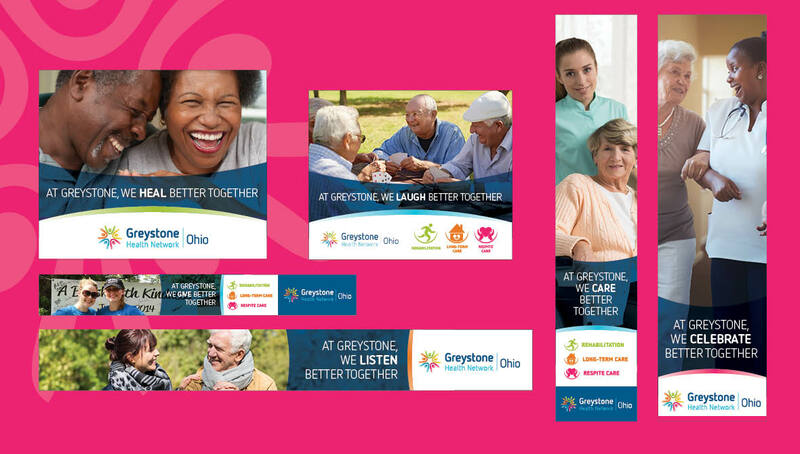 With this in mind, we developed the campaign concept, “Heal Better Together,” highlighting the team approach Greystone takes to their patients’ treatment, as well as the emphasis they place on understanding their patients’ needs when working together to create a healthier and happier lifestyle. The design of the campaign further emphasized themes of community, compassion, and care through empowering lifestyle shots of seniors connecting with each other, fun icons, and a bright color pallet.